More dramatic than a simple pendant light, a chandelier can turn a beautiful space into an awe-inspiring interior. 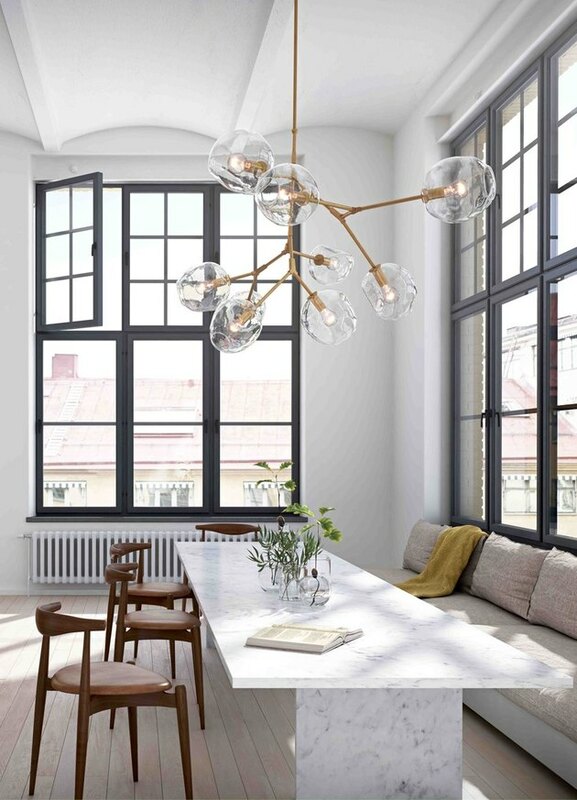 Drawing influence from Scandinavian and German Bauhaus design, modern chandeliers emphasize simple form and function, focusing on strong, clean lines and balance. 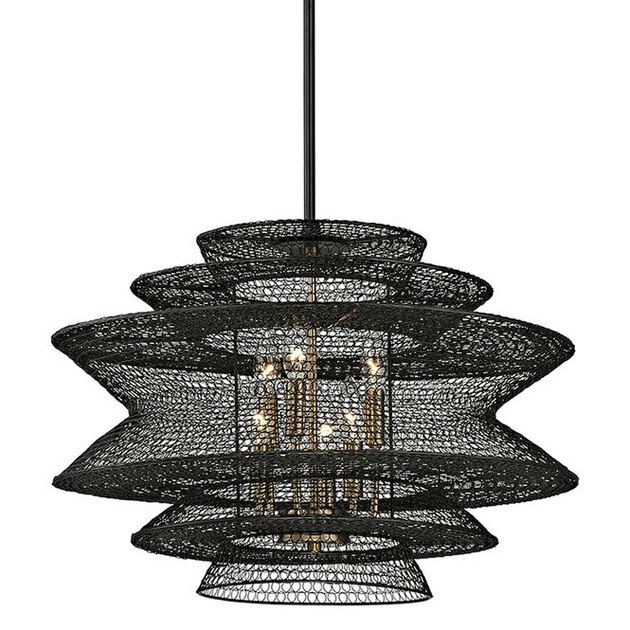 Complementary to almost every design aesthetic, these 12 modern chandeliers will do more than just light up a room. Add a little dimension to your minimalist design with this asymmetrical number from Shades of Light. 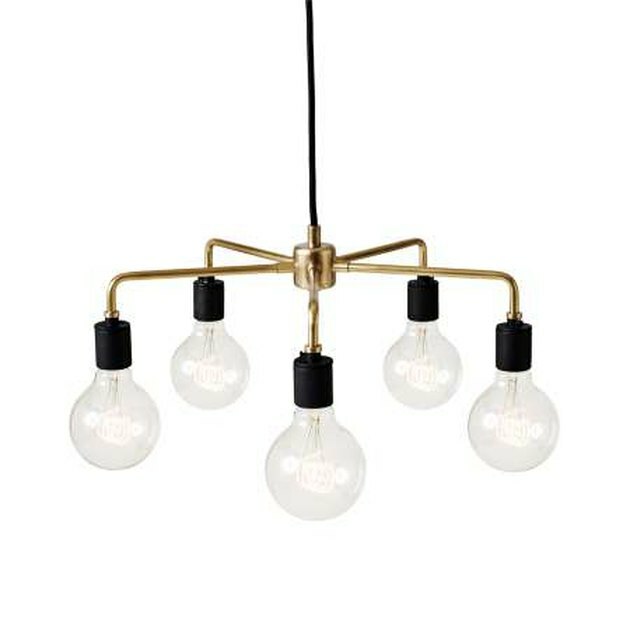 The stately bronze finish and brass accents make this eight-light chandelier a handsome addition to any modern interior. Dramatic colors, rich materials, and sophisticated craftsmanship are a standard part of this elegant eight-light chandelier. The staggered, ombre mirror-finish glass shades become warm luminous orbs that demand to be the center of attention. Cubism has never looked so good! 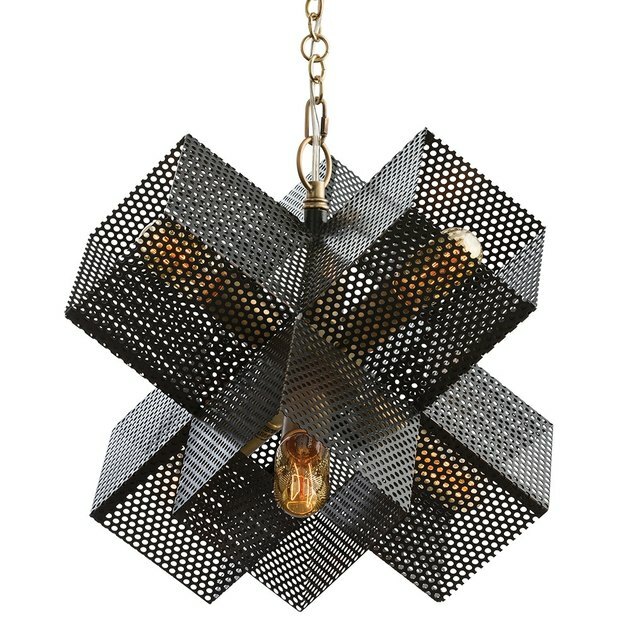 This dynamic gem beautifully captures the popular artistic movement with perforated cube shades, which are left open to expose the vintage style reproduction bulbs. The contrast of the bronze and antique finishes creates a warm ambient glow that will make your dinner parties lovelier than ever. Excessive ornamentation and dramatic embellishment are not synonymous with glamour, and this elegant chandelier by Menu proves it. 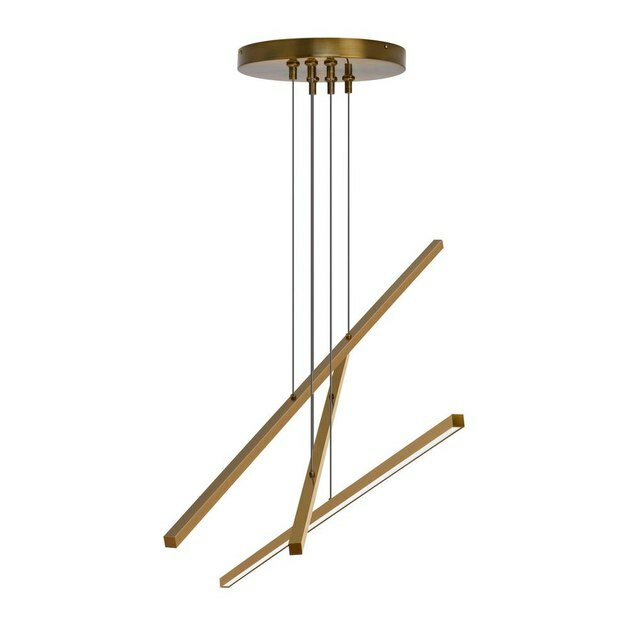 Designed by Soren Rose, this brass fixture's beauty lies within the simplicity of its design and the quality of its craftsmanship. The downward direction of the five arms make this retro-chic chandelier the perfect lustrous piece to brighten up any room. A genuine statement piece, this spun aluminum chandelier is a study in grace and sophistication. The three shade designs can be mixed and matched to your heart's content, and hung at different heights, to create a fixture that is flexible to your needs and truly unique to you. The undulating lines pair beautifully with the radiant brass interior finish, resulting in a striking piece of luminous art that can't be ignored. 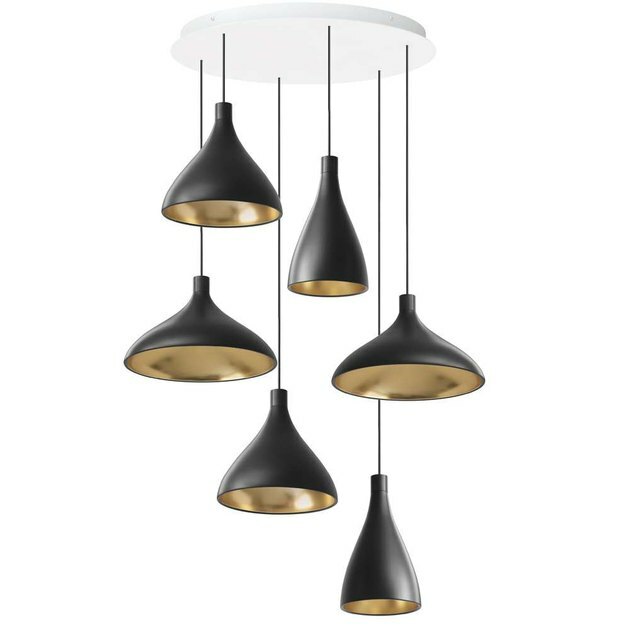 This sleek LBL chandelier is modern minimalism at its finest. 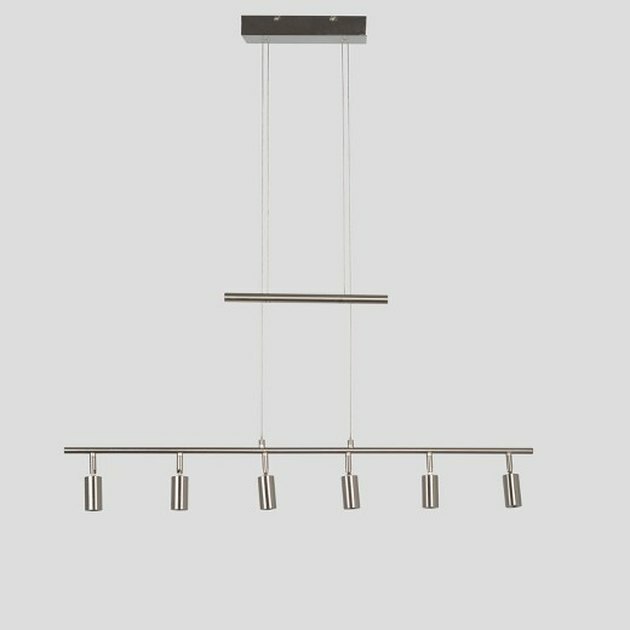 Reminiscent of a nursery mobile, the three beautifully arranged linear lights are staggered at varying heights. The chic design plays with the idea of balance like a puppet master pulling strings, to evoke a subtle sense of drama and excitement, and we just can't get enough. A stunning reproduction, the Mouille Pendant is an impressive addition to any room. Inspired by midcentury modern design, this fixture's black carbon steel frame was created with the human skeleton in mind — focusing on the body's joints, specifically. 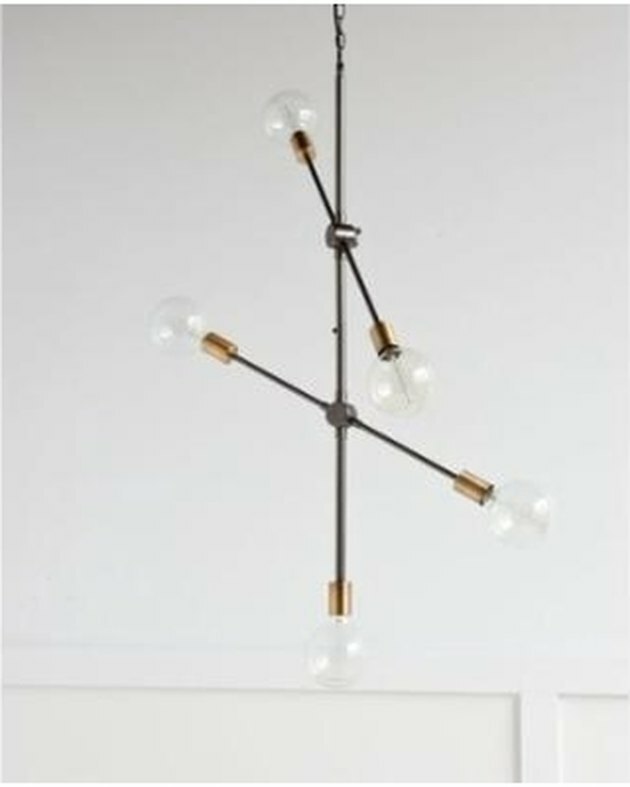 The sprawling arms really extend the light outwards, covering more space, making this an ideal fixture over a dining table or centered in a living room. Luxe design doesn't have to be delicate in order to be charming, as exhibited by this playful fixture. 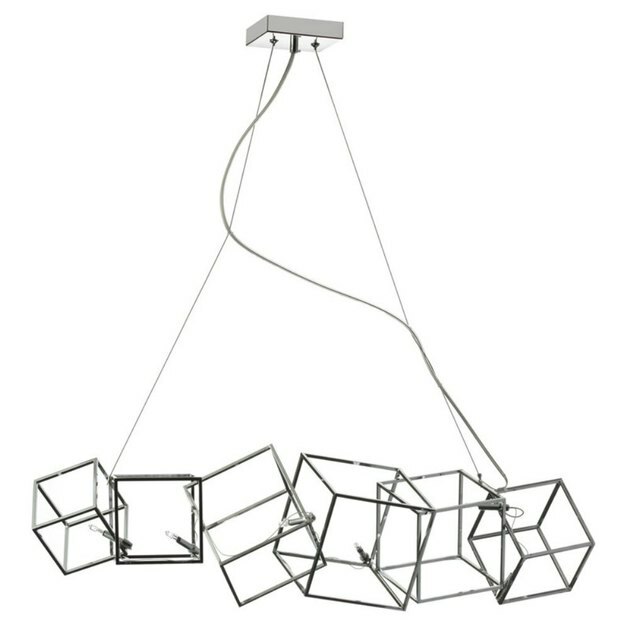 Minimal, yet full of character, the Cubo Six-light Chandelier is a fun option perfect for a kitchen island or a long dining table. 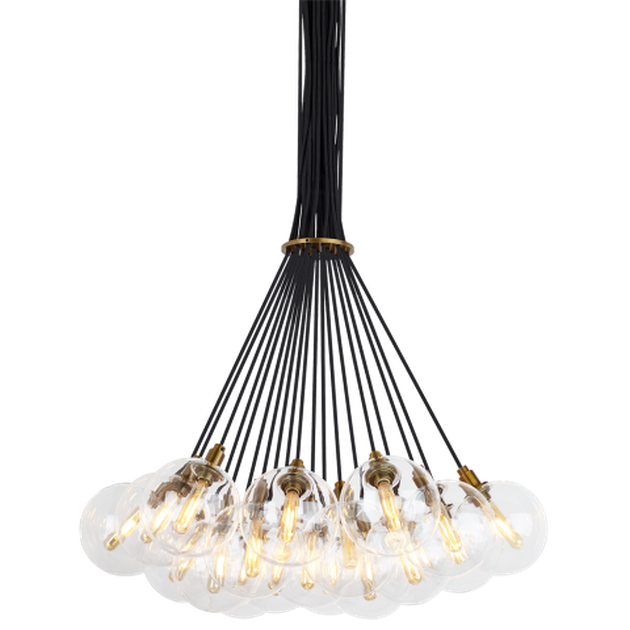 TL Studio's 19-light chandelier can best be described as a head-turner. The combination of vintage tubular lamps housed in glass shades, with aged-brass accents, and cuttable black cloth cord is simply magical, and brings an atmosphere of grandeur to any room it graces. Visually arresting is one way to describe this one-of-a-kind chandelier. The dark-bronze, geometric mesh shade juxtaposed over an old-fashioned candelabra strikes a beautiful balance between modern and vintage design. 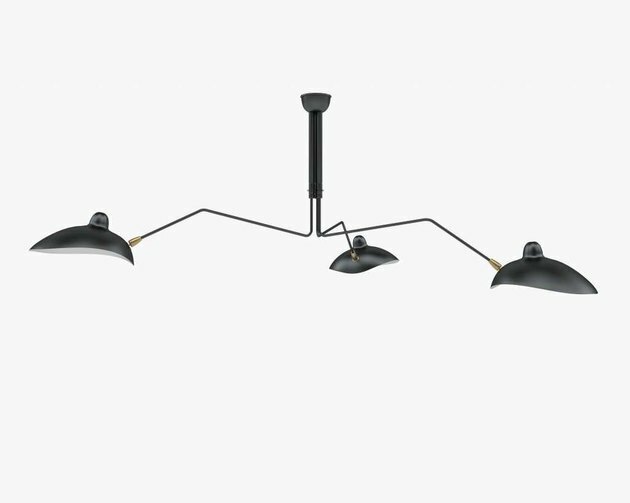 A functional fixture, with a chic design, at an incredible price — what more could you ask for? And we haven't even mentioned the best part! This simply stated chandelier features six LED lights with metal shades, and it's dimmable, so you can adjust the light level to create the perfect ambiance for every occasion. 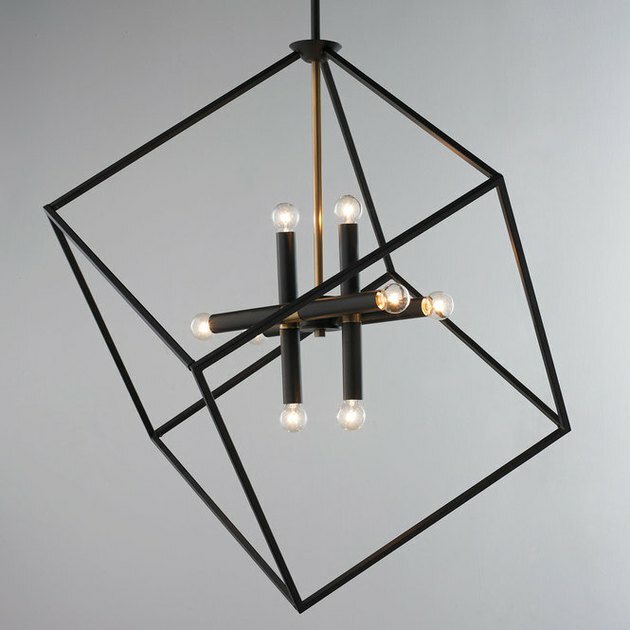 Also, if you are looking for something a little edgier, this fixture is available in a stunning black and brass finish combination. 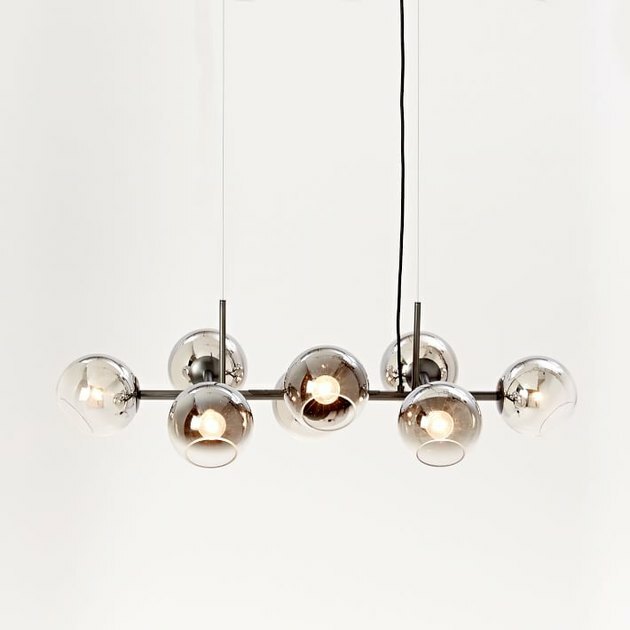 Inspired by midcentury design, this fixture's five adjustable gunmetal rods with polished brass caps, conjure images of the iconic sputnik chandelier. The alluring oversized-globe light bulbs dance in symmetry, beautifully balancing each other out.